Toshiba e-studio 2309A monochrome multi-function digital copier machine has 250 sheet paper drawer, 100 sheet bypass tray, auto duplex, digital copier/ network printer/ network color scanner, toner yield 16600 pages and drum yield 64000 pages. High quality photocopy machine, faster coping process, appropriate for commercial purpose. 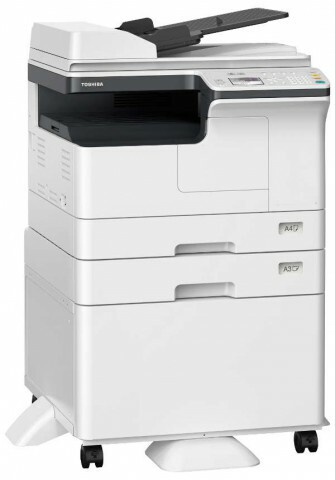 Visit showroom or call to buy the toshiba e-studio 2309a photocopier from Dhaka, Bangladesh.